There are lots of great emulation scripts available which let you play classic games from the 70s, 80s and 90s. Generally speaking, playing games in this matter is illegal. Some companies are happy for you to play an old emulated game on your computer if you own the original game itself though other companies disagree with this (e.g. Nintendo). I will assume that most of you already know this so I will not go into this in too much detail in this article. I will also assume that many of you do use emulators to play games from time to time. Playing emulated games is very easy; all you need to do is plug in your USB controller, download an emulator and then download the ROMs of games you want to play. If you do play classic games through your pc then it may be worth upgrading to a better joystick. 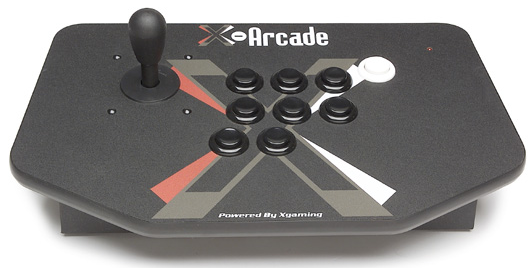 Whilst reading a games site the other day I saw an advert for an arcade joystick from a company called X-Arcade. The joysticks aren’t cheap but they are very impressive so I thought I would tell you all a little more about it. Here is a brief look at their 4 main controllers. Their basic controller is the X-Arcade Solo Joystick. 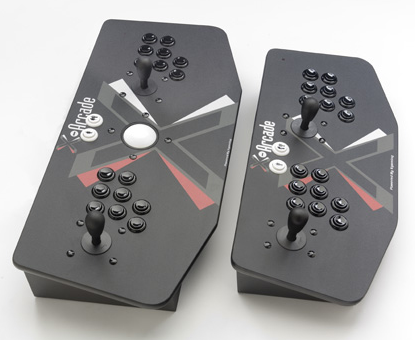 This study 10 button arcade joystick retails for $99.95. Their trackball controller also retails for $99.95. The button configuration is similar in style to a golf arcade machine with 3 buttons at either side of the trackball. Would be good for playing some sports games, simulation games and games from the 70s which used paddles. Their 2 player controller offers the best value in my opinion, coming in at $129.95, which is only $30 more than the solo arcade joystick. Their most expensive joystick is the 2 player Tankstick, which retails for $199.95. 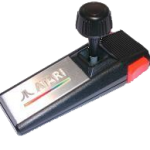 The joystick has a similar style to the regular 2 player joystick except it also has a trackball in the middle. Being $70 more expensive than the regular 2 player joystick, my initial impression was that their premium joystick wasn’t worth the money. Why pay $70 more for a trackball? It’s only when you see the two joysticks side by side that you see how much bigger the Tankstick is, the thing is massive!! 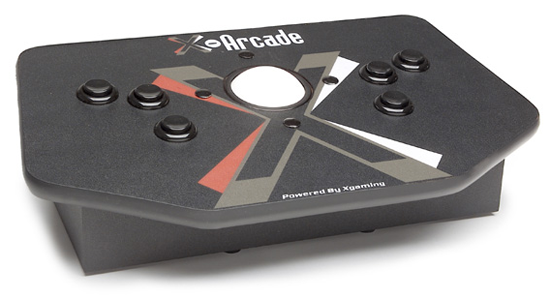 All of the X-Arcade joysticks use USB so will connect to your pc or mac easily. You can also purchase adaptors which let you use the joystick with Playstations (1,2 and 3), Xbox (including the 360), Sega Dreamcast and Nintendo Gamecube and Wii. There’s no getting away from the fact that buying an arcade joystick costing $100+ is an indulgence, but if you have the cash you might want to splurge out. It’s actually not too expensive when you realise that it can be used on computers and on several systems (via adaptors). I haven’t personally used the joystick myself but all of the reviews have been positive. Seems like a good way to recreate the fun of playing an arcade machine without actually buying an arcade machine!